“Hotel Transylvania 3” – with Special Guest! We are thrilled to announce that we have a special guest joining us to introduce the movie. 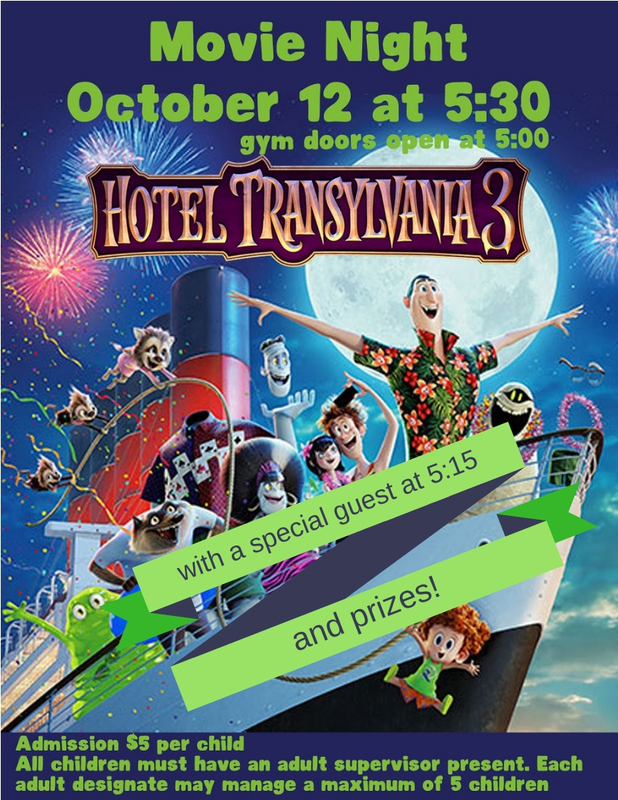 Oscar, a Kindergarten parent, will give us a firsthand account of what it was like to work on the production of Hotel Transylvania 3! This is a PJ Movie Night first so come and join us and our hosts, Grade 3, and enjoy hot dogs, popcorn and treats which will be for sale. Doors open at 5:00 pm, Special Guest Presentation at 5:15 pm, movie starts at 5:30 pm. Stuffies & pajamas welcome; bring a cozy blanket and pillow if you like!